The 919 Hybrid started in Spa on May 3, 2014, from pole position and was the leading car for a long time. In the end Porsche came fourth at the second round of the WEC. The 919 Hybrid started from pole position and was the leading car for a long time. In the end Porsche came fourth at the second round of the WEC in Spa. The 911 RSR scored second place – after a remarkable charge. Drivers Romain Dumas, Neel Jani and Marc Lieb had started with the car no. 14 from pole position for the six hour race. 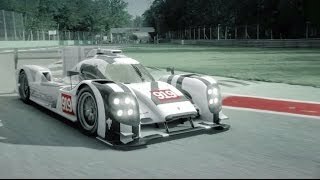 The 919 Hybrid was the leading car for a long time. But then incidents cost time. An electric problem required a reset by Dumas while he was driving and on the final laps Jani had an extra pit stop due to a puncture. The race day for the sister car no. 20 of Timo Bernhard, Brendon Hartley and Mark Webber was even less lucky. They had started fifth, improved immediately to third but then were hampered by technical problems and dropped back to the end of the field. Nevertheless, the newly formed Porsche Team managed to achieve the main target for the weekend which was finishing the race with both LMP1 cars. The speed of the Porsche 919 Hybrid was convincing in Spa. For long periods of the race it was the fastest car on track. The overall fastest lap of the weekend was by Marc Lieb (1:59.887 minutes, free practice two). Neel Jani’s fastest qualifying lap (2:00.334 minutes) was the overall second fastest lap of the weekend. After a successful start to the season with a double victory at Silverstone, Porsche scored second place in the GTE-Pro class at the six-hour race in Spa-Francorchamps, round two of the sports car World Endurance Championship (WEC). 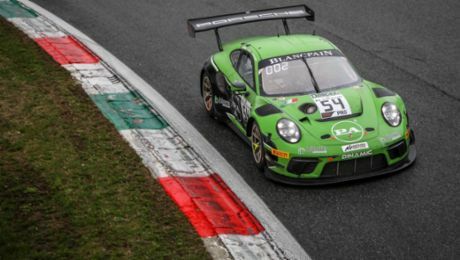 With the Porsche 911 RSR, which is based on the iconic 911 sports car, works drivers Joerg Bergmeister and Patrick Pilet repeated their result from the season-opener after a remarkable charge in the final phase of the race. Their factory pilot colleagues and Silverstone winners Marco Holzer and Frédéric Makowiecki brought the second 911 RSR fielded by Porsche Team Manthey over the finish line in sixth place. 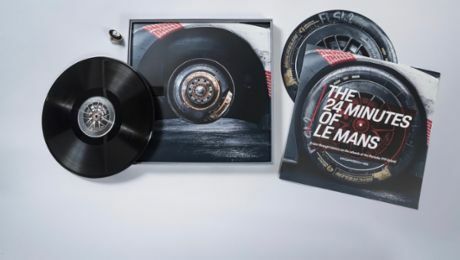 At the race on the storied circuit in the Belgian Ardennes, generally regarded as the dress rehearsal for the 24 Hours of Le Mans, the 911 RSR sports cars competed with 25 kilograms of additional weight. During the preceding week, the WEC Endurance Committee had decided to increase in vehicle weight as part of the Balance of Performance regulations. The 470 hp GT racer from Weissach, which has already won the long distance classics at Daytona and Sebring this season, was unable to match the pace of the front-runners during the first half of the race. But in an impressive final stint, Patrick Pilet swept past two opponents, scoring second place with Joerg Bergmeister, just like at the season-opener at Silverstone. This result allows them to retain second place in the GT driver’s classification heading to the season highlight at the Le Mans 24 Hours.